The Victorian era was not only a period when literature and arts was flourishing, but it was also a time when people were sharing their ideas about the many aspects of life and society as they see them. 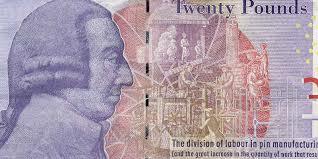 There were many attempts that were made by people to understand and theorize the economic system and Adam Smith is considered as one of the greatest economic thinkers of all times. 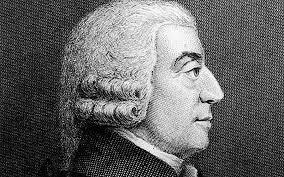 Adam Smith gave the idea of division of labor in his book The Wealth of Nations. 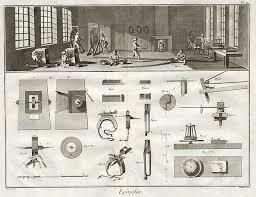 In this work, he describes the various methods in which division of labor can be done. He also discussed the many advantages and disadvantages of the same and established that the process can benefit an economy. What is an example of division of labor? Adam Smith presents his hypothesis of division of labor in his work The Wealth of Nation. The book was published under a longer title which was An Inquiry into the Nature and Causes of Wealth of Nations in 1776 for the first time. In this work, Adam Smith has discussed the idea of division of labor and has presented the ways in which it can benefit a social economy. He proposed that all the workers working in the labor market should be given a specific job only. They will start to do that job repeatedly, which will increase the overall efficiency of the system. Adam Smith used the diamond water paradox to explain the importance of labor in the production economy. He arguments that diamonds are not vital for the life and survival of human beings in the way that water is. Still, water is a much cheaper product as compared to diamonds. He uses this paradox t point out that the amount of labor that is used to develop a resource adds value to the final product. As a result, the only way to improve efficiency in production is to make proper division of labor on the basis of skills of the laborers. After Adam Smith proposed the concept of division of labor in his famous work, there were a number of ways in which its practical application started. It was noticed that the concept has a far reaching application, not only in the economic, but also in the social setting of the various societies, especially within England. To put it in simple terms, division of labor is the concept when a task is divided into many parts. Then all the workers who are responsible for finishing that job are given one part to complete. in this way, the task in hand is accomplished with the help of many workers who are responsible for their specific role. It was also highly applicable in the society and soon, it was found that the concept of division of labor has a lot of social relevance as well. In society, each member has a different role to take up. These roles are attributed on the basis of the age, gender, social status, economic background and a number of other similar factors. In combination, these social roles form the entire social structure and work in interdependence to form what is called a society. According to Adam Smith, there are many advantages of division of labor. He specifically points out that if one person will continue to do the same job, their efficiency in that task will improve as a result of constant practice and effort. It will become their specific skill and the time and energy that the laborer will spend in switching jobs will be saved. Division of labor is also very important for ensuring uniformity in the operations. It has been found out that if a worker is skilled to perform one job and keeps on doing it repeatedly, it improves the quality of their work and also enhances their productivity. As a result, if one task is divided into several parts and each laborer is performing only a small job in the process of production, it will lead to uniformity in their performance over time. As a result, all the workers will be the best in their jobs and the final product will have a standard uniformity in terms of its quality. Adam Smith identified that the division of labor is the key reasons of the industrial revolution and the massive growth in industrial production in Europe. He also makes it a point to mention that it would be wrong to consider that the labor that is needed to develop a finished product is the total value of that product. In order to explain the concept of division of labor further, Adam Smith gave the idea of natural price. He argues that all products in the market have a natural price, which is the basic value that the specific good or commodity holds. However, the final price of that item will include the value of the time and energy that the laborer has spent on that product. Thus, the final price of the product will be the sum of its natural price and the expenditure that has been made on developing that finished product. Adam Smith presented the idea of division of labor by stating that here are eighteen specific steps that need to be followed to make a pin. If each laborer performs certain specific steps, then one laborer can make 4,800 pins on an average in one day. However, if one laborer is given the responsibility of performing all the steps and making a pin, it would be difficult for any of them to make even one pin in one day. The concept has been modified and used by many other major industrialists of the world. The assembly line production design given by Ford was a revolution in the automobile industry. This concept was based on the idea of division of labor as proposed by Adam Smith. As the economies and societies grow complex, Adam Smith observed that the concept of division of labor can be divided into two parts. The first one is simple division of labor and it happens in comparatively lesser complex economic functions. Here, all the parts of a job comprise of manual labor. Due to this, any worker can be assigned any of that task and with basic training and constant practice, they will be able to master it. Specific division of labor is a more complex idea that has its roots in the complex economic and social set up. In a specialized division of labor, the various parts of a task require specific process to complete. these processes are highly technical in nature and it needs special training and skills for the person who takes up that task to complete it with accuracy. This means that not any laborer can perform that task and special knowledge and skills need to be developed for the same. The concept of division of labor, as given by Adam Smith, is considered one of the basic ideas that have helped to promote economic growth on a large scale. However, there were many critics who pointed out that there can be certain disadvantages of the process. It was identified that performing the same task repeatedly over days and months can make the process very monotonous. As a result, it can make the workers dull and bored. This will reduce their efficiency and will also affect their performance in the long run. The process of division of labor needs specific skills on the part of the labor to complete a task. It means that one worker performs only one task and none of the other workers can perform it. In such a system, it is important to make sure that all the workers who are working on a task are able to complete their job in time and with constant accuracy. In this case only, it will be possible to finish that task. This observation concludes that if one of the steps of a task is not completed properly, it can affect the entire production process in a negative manner. This has also been found out to be a major issue with the process of division of labor. 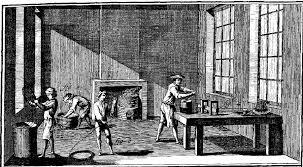 However, experts agree unanimously on the idea that the division of labor is the only reason for the industrial revolution in the English society and the improved standards of living that the labor in these countries have. In his work, Adam Smith has used the example of many countries of the world and specified the reasons due to which they were unable to attain economic independence. His observations revealed that the division of labor is the only process by which the most productive method of production can be developed. The various studies and researches have pointed out that performing the single task can improve performance and productivity and even though the system may have certain disadvantages, it is the backbone of industrial growth, mass production and improved living standards of many people across times and social settings.